Days ago, the U.S. Department of Education announced a dramatic policy shift on standardized testing of public school students. Education Secretary Arne Duncan, echoed by President Obama, admitted that a Council of the Great City Schools study was right — there is too much reliance on standardized testing, hurting schoolchildren, teachers and administrators. The Education Department, therefore, published a Testing Action Plan which they claim will help states and school districts to roll back over-testing, at least to some extent. This about-face is astonishing because Arne Duncan is substantially responsible for our schools’ overreliance on standardized tests. He made evaluating teachers by student test scores a condition of both federal Race to Top funding and his Department’s waivers from No Child Left Behind (NCLB). And it was Duncan who forced states to add standardized tests in subjects like social studies, science, languages, and even physical education. So what will the Department of Education actually do? Will future policies match this new rhetoric? The only specific change is to support the two percent solution — that schools should not spend more than two percent of classroom hours per year giving standardized tests. This idea is already enshrined in the U.S. Senate’s proposed rewrite of the No Child Left Behind law. But such a requirement would be nearly meaningless. According to the National Center for Education Statistics, the average school day lasts 6.64 hours and the average number of school days is 180 per year. Do the easy math and you’ll find that two percent equals 23.9 hours of testing in a year. Clearly, the two percent solution very marginally helps average 8th graders, but doesn’t help anyone else. In fact, it allows schools to increase the amount of testing in 12 different grades. But entirely besides that nearly meaningless requirement, it isn’t the time spent taking tests that’s the problem—it’s the far greater time wasted on taking pre-tests and teaching-to-the-test, and the narrowing of curricula to focus on tested subjects. By January 2016, the Department will provide clear guidance to all states and districts regarding what existing federal funds may be used for assessment audits and to support high-quality teaching and learning, and best practices for using testing as a learning tool. Prohibit Pre-Tests—In many high-poverty schools, teachers and students are forced to waste tremendous amounts of instructional time practicing for standardized tests. While the tests themselves might take 20 hours, the pre-tests (often given in four waves throughout the year) can take 20 school days. And all the test-taking skills taught and employed during these days are useless in real life. The Department should encourage them to stop it. Abolish teacher evaluations based on standardized test scores—Teachers in high-poverty schools are required to teach to the standardized tests; their jobs depend on it. Homework is often required to be in the style of test questions. In high-poverty schools, this requirement has destroyed much good teaching and caused many of the best teachers to quit. The Department can address this immediately by dropping it as a waiver requirement, letting states retract what they’re doing. Prohibit schools from posting individual students’ standardized test scores or test rankings where other students can see—Test shaming has become routine in many high-poverty schools. The practice is damaging, unprofessional, and simply outrageous. End the use of ranking and sanctioning schools based on test scores—If an overall evaluation finds a school to have serious problems, then districts and states must provide genuine assistance to meet the identified issues, not sanctions such as mass firings, closing or privatizing. The Department should use its waiver authority to end sanctions immediately. Prohibit schools from rewarding students for high scores or improved scores on standardized tests—Again, this practice is pervasive. 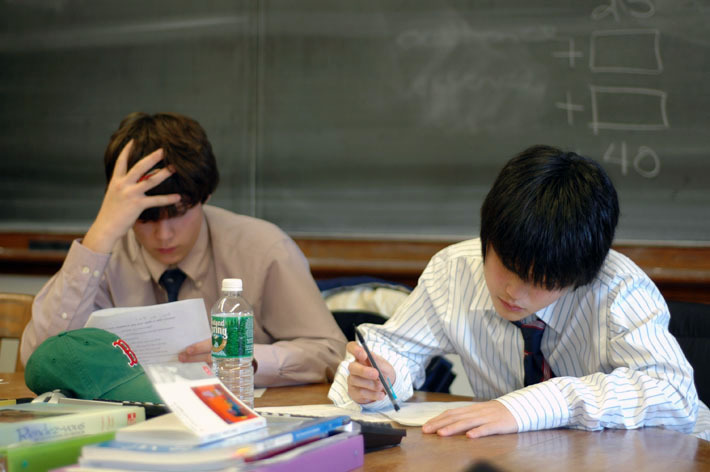 Prohibit schools from teaching students in different ways or providing them with different classes based primarily on standardized test scores—Obviously there should be different levels of classes, but the practice of triaging students based on test scores and treating certain children differently because they are close to the cutoff for “proficiency” is unfair and hurtful to most of the students. Stop schools and school districts from narrowing their curricula to focus on tested subjects—Every school should be compelled to offer the full range of subjects appropriate to each grade level. In high-poverty schools, it’s common for students to be taught very little about geography, history, social studies or science, and to have little or no band, chorus, art, or foreign languages. Similarly, prevent schools from overcrowding the untested subjects. In a high-poverty school, a social studies teacher might have 40 students enrolled in a class to allow for smaller class sizes in reading and math. Forbid charters from expelling or “counseling out” students because of low standardized test scores—Charters will deny it, but they often have higher test scores than neighborhood schools because they manage to keep out or get rid of lower scoring students. In sum, it is too early to say whether Arne Duncan has surrendered. In a few months, we should get a much better picture of what the Department of Education will do. In the meantime, we should all keep up the pressure. Bernie Horn is Senior Advisor for Progressive Majority Action and the Public Leadership Institute. Originally written for Public Leadership Institute.